It’s easy to forget how realistic the current crop of games are. This is a great comparison video of real life Spa against it’s Forza 5 equivalent. What impressed me the most was the realistic modelling of the tree line. It’s been covered loads of times before, but releasing one car for Forza2 at the cost of 50 gamerpoints sounds expensive. Taking today’s Amazon prices that’s 43p for one car. If Sony applied that pricing model, and the rumours of 1000 cars in GT5 but only 300 included in first purchase are true, that’s an extra Â£300 to own the full game. Madness. Of course no one is forcing you to buy the content, and the likelihood is that you’ll buy only a few select cars, but the micro transaction gaming market is only heading in one direction and it’s not a cheap one. Heavenly Sword demo was released today. It’s quite possibly the largest (almost a gig) shortest (lasts less than 10 minutes) demo I’ve played but afterwards I pre-ordered the game so I guess the demo worked for Sony. The graphics were stunning and this looks like something the 360 could struggle matching. Game on. I know there was some bad press about the gameplay being short (12 hours from memory) but I’d rather have a corking 12 hours than a spun out 30 hour game that I don’t complete. Bomberman is superb on the 360 and well worth 800 points. Played the Moto GP demo on the 360. What was once THE game on Xbox Live is now a shadow of it’s former self. Talk about milking an original format and regurgitating each year, this is little more than a bug fix from last years release. GTA IV – only complete experience on the 360 according to Rockstar themselves. Made me grin thinking back to the exclusives that the PS2 had for so long. Not any more. Another firmware update on the PS3 – Sony are developing aggresively for the PS3 now and ar catching up fas on the 360. Music playback and X bar available in game for firmware v2.0? 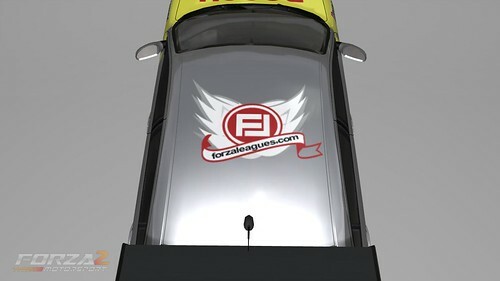 Forza Leagues is going well and we have over 30 members with little or no advertising. Biggest issue has been lag within Forza. We struggle to get anyone to host a stable room with more that 6 players which is very limiting. It frustrates that the console model for online gaming is still mostly peer to peer which limits the amount of players you can realistically play with at any one time. I would quite gladly pay extra for server based gaming if it allowed 16, 24, 32 player gaming while limiting lag. I would love Sony to do more with server support in the hope it would encourage Microsoft to move in that direction as well. Resident Evil 5 – another game that looks amazing! The Metal gear Solid gameplay video was very impressive. Some nice touches, great humour and a graphics engine that looked up there with the best around. There was also a nice array of weapons. If Sony have lost exclusivity on this one they will be kicking themselves. 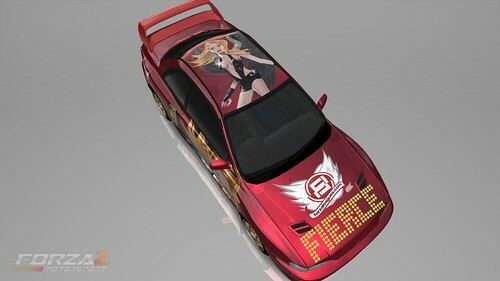 Forza 2 has a great paint mode which combined with some talent allows for some fantastic designs. I have no talent but I got a nice surprise last night when I signed into the game and got a car gift from Robert. Absolutely stunning. Cheers for that – I might now have a prize for the first Forza Leagues tournament! Over the last three weeks I’ve been beavering away on a new website which is finally ready to roll – www.forzaleagues.com. For the last few years I’ve gamed with a great but dwindling bunch of guys known as The Lickers. We’ve ended up with a core group enjoying mostly racing and first person shooters but we have a problem – no site to run leagues and a habit of starting a league but never finishing it. So myself and Cheesy (fellow Lick) decided to try and do something about it, hence Forza Leagues. The website allows us to easily run multiple leagues and seasons for Forza 2. It should make the admin part as easy as possible and give us some nice stats along the way. It also allows us to attract 360 users from other forums and websites to join our leagues or form their own using the software we’ve developed. Now when I say we’ve developed the software it’s really all down to one guy – Graeme (he asked me not to link to his homepage). So it’s a big thank you for the coding you’ve been doing over the last couple of weeks. Everyone’s feedback so far has been really positive. I also need to thank Robert (Foe Real) who’s logo work in Forza is superb and can be seen above. Soon we’ll all be riding using his designs. Longer term we hope to add more games, leagues, ladders and team tournaments but for the moment, to get us started, we’re focussing on Forza 2 only. We’re looking for clean racers to join up and take part. Don’t worry about fast times as there will be leagues to cater for all abilities. The important thing is that you race fairly and don’t abuse your fellow gamers. 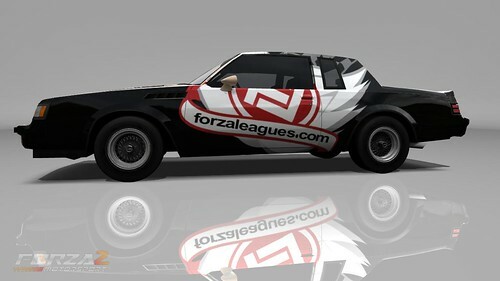 If that sounds like you and you enjoy Forza 2 then feel free to register with Forza Leagues and at least give it a go. Hope to see you there.